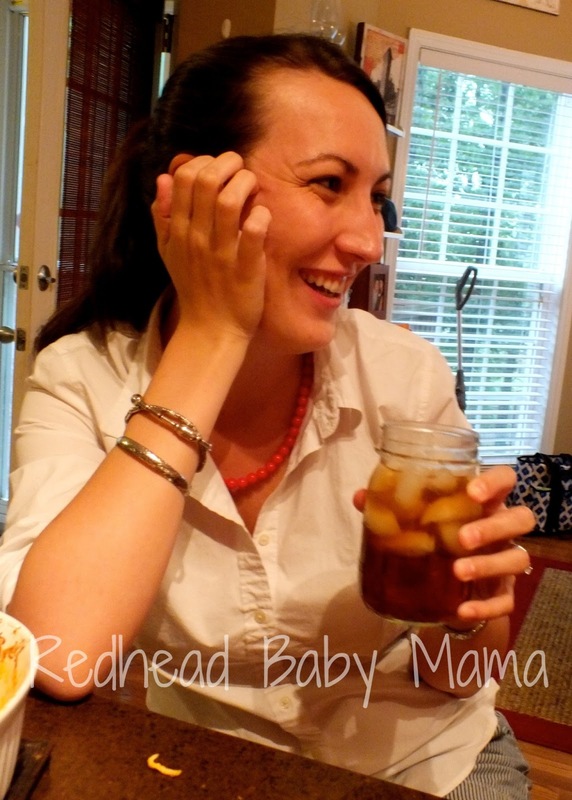 For this hot 2013 summer, as part of a sponsored post for Collective Bias®, the Redhead family was provided with a gallon of Snapple’s SnapTea to cool us down! This time last year, the thermometer was hitting 106°, but that doesn’t mean this year isn’t a scorcher. 90° days have been the norm here in Georgia, but suddenly we have been hit with a massive amount of rain, rain, rain! Despite the ugly weather, we’re trying to keep that warm -summer-weather feeling with Snapple’s new half and half, ice tea/ lemonade drink. Over the 4th of July weekend, Hubs, Red and I really wanted to head out to our favorite place in town – the farmer’s market – but the torrential flood of rain has been pouring steady for over two weeks, and is not forecasted to let up for another seven days and nights. Anyone have an ark?! At the market I usually pick up some local honey, cheese and maybe some veggies, while Red loves to play on the playground. But, with this summer rainfall blaring down, our plans were washed out faster than the spider from the waterspout (anyone singing along?). Since any outdoor activities were nixed, our friends invited us over for an attempt at indoor festivities. Hot dogs, burgers, and plenty of yummy appetizers are par for the holiday course, but toss some of Snapple’s SnapTea in the mix, and everything is delicious! Just imagine all the tastiness that Snapple can bring to your outdoor summer adventure (or indoor one, if you happen to be in the middle of what seems like monsoon season!). I’ll have to say, I didn’t know what to expect when I tried SnapTea. I remember each of the Snapple flavors when I was a kid (and the fun Snapple facts under the lid), centering around fruits and sweetness. I had tried other ready-teas, and mixed plenty of my own “Arnold Palmers”, but when I tried the SnapTea, I was pleasantly surprised. When properly chilled, it’s very flavorful and well mixed, pleasing even my inner tea-loving southerner. 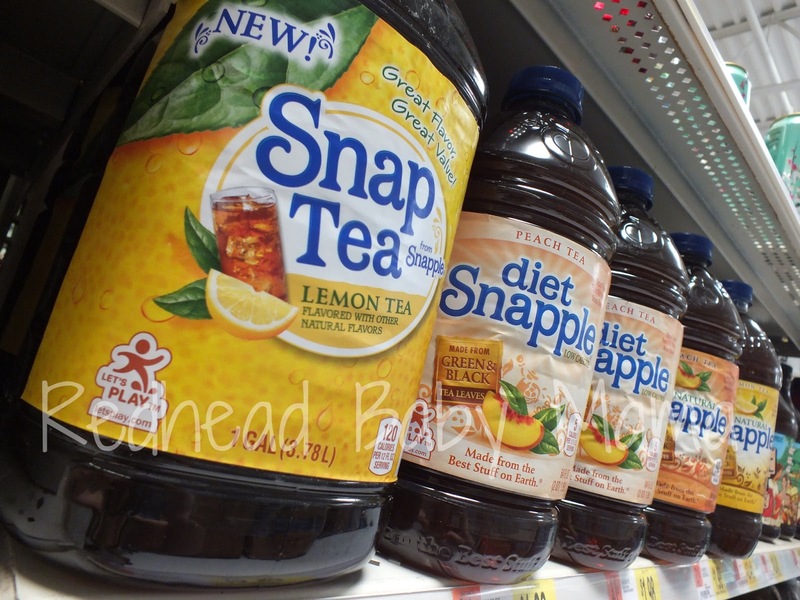 The second ingredient is corn syrup, which is in our diet only in moderation, but most families will very much enjoy SnapTea’s new spin. My friends enjoyed it immensely, Alex especially! I love serving drinks in mason jars! Cute idea 🙂 Glad the rain didn’t ruin your fun! I love the tent put up over the grill! Looks like you had a fun time despite the rain.